Made right here in the Midwest  NOT overseas in the Middle East! 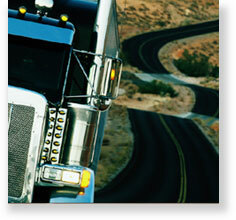 When supporting America, the trucking voice has always been loud and proud. And now, using Soy Biodiesel is one of the most American actions you can take as a trucking professional. In fact, every time you fuel with Soy Biodiesel, you make a statement. Youre not going to sit back and let our country be at the mercy of foreign-based fuel providers. Youre taking steps to help our countrys energy independence. Youre showing your support for a proven, renewable fuel grown and processed in Iowa. A fuel that helps your engine perform better, creates jobs in the heartland and is better for the air we breathe. The result? Soy Biodiesel has the potential to turn Iowas soybean fields into Americas oil wells. Soy Biodiesel is good for your engines, good for our environment and good for America. You can make it good for you too!